Matisse Day Spa is dedicated to customer care and will assist you in planning the ultimate escape for yourself and your loved ones. Located in the heart of historic downtown Duncan, we are able to accommodate groups of various sizes for weddings, graduation preparation, birthdays or any other social gathering. 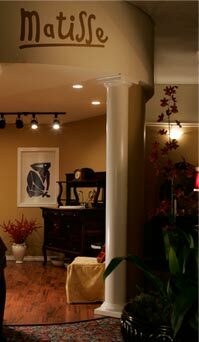 A Matisse professional would be happy to assist you with any questions you may have. Matisse Day Spa values education and on-going training to ensure our Spa Professionals continue to update their skills thereby providing the latest information and techniques in an ever-changing industry. Opened in 2001, Matisse Day Spa has been a proud member of the Duncan business community and a vital partner in the Downtown Duncan rejuvenation. We are proud to serve the Cowichan Valley and offer our support to various organizations and causes invested in the health and well-being of Cowichan Valley residents. 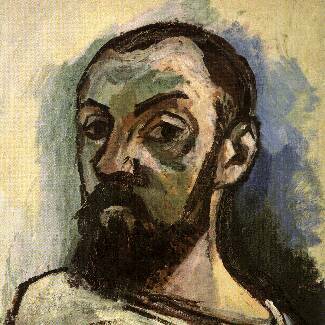 Henri Matisse, born December 31, 1869 was often regarded as the most important French painter of the 20th century. His artistic career was long and varied covering many styles of painting from impressionism to near abstraction. Early in his career Matisse was the leader in the Fauvist painting movement, and his celebration of bright colors reached its peak in 1917 when he began to spend time on the French Riviera. Matisse´s art has an astonishing force and lives by innate right in a paradise world into which Matisse draws all his viewers. He gravitated to the beautiful and produced some of the most powerful beauty ever painted. Matisse lived through some of the most traumatic political events in recorded history, the worst wars, the greatest slaughters, the most demented rivalries of ideology, without, it seems, turning a hair. His paintings are the equivalent of that ideal place, sealed away from the assaults and erosions of history. Matisse once said that he wanted his art to have the effect of a good armchair on a tired businessman.